Wisconsin, the USA & the world. 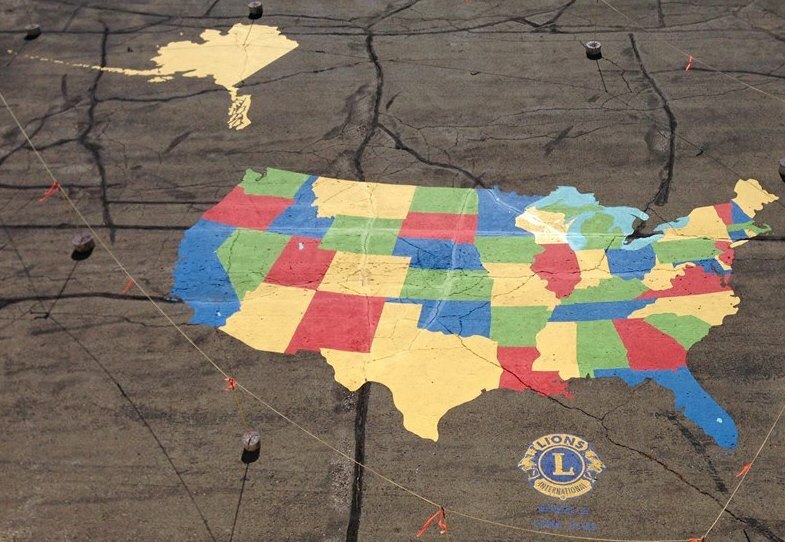 The Brussels Lions club painted a 35’ x 53’ map of the United States on the playground of the Southern Door Elementary School. The map can be used by the students during recess and during teacher directed activities as part of their classes. The project involved 16 Lions and spouses and took about 123 hours to plan and complete.